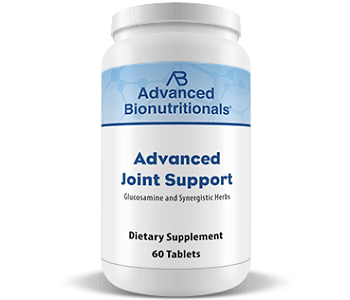 This is a review of the product Advanced Joint Support by Advanced Bionutritionals which claims to be a breakthrough remedy for joint pain. This breakthrough is based on the way the supplement is utilized by your body. The manufacturer states that as we get older, our bodies don’t absorb nutrients and vitamins as well as it used to. By improving metabolism, this will help your body absorb nutrients better which is especially important for nutrients that fight joint pain. This supplement takes a look at metabolism-boosting ingredients and includes them in its formulation. This includes Bioperine. This supplement contains seven ingredients in total which the manufacturer claims will restore your joint health and reduce any joint pain. This product claims to keep your joints healthy and lubricated allowing you to bend, stretch and walk without pain. The aim of this product is to have you moving freely. The seven ingredients found in this supplement include Glucosamine Sulfate, turmeric, ginger, 5-Loxin Indian Frankincense, Yucca, Purple passion fruit, black pepper extract (Bioperine). Turmeric is known for its inflammation-fighting properties and its usefulness for treating joint pain. Yucca root contains resveratrol which is good for reducing inflammation. Ginger helps to reduce swelling and also slow down cartilage loss in your joints. Purple passion fruit is good for increasing collagen production which will build stronger ligaments and tendons. Glucosamine sulfate is an important ingredient for the nourishment of the cartilage which is good for the cushioning between joints. The glucosamine sulfate in this product is derived from crab or shrimp shells. 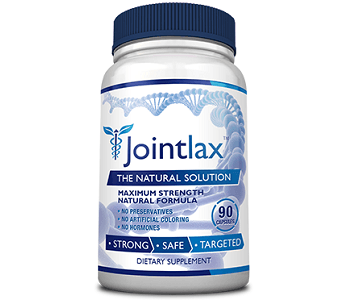 5-Loxin is a patented form of Boswellia that is well-known from research to reduce stiffness and joint pain. Bioperine is the ingredient that ties all these ingredients together and allows your body to absorb them adequately. There is quite a long list of other ingredients. We could not find the dosage instructions for this supplement. However, we assume that based on the number of capsules per bottle that the dosage is two capsules a day. The manufacturer states that this product is safe to take and so there is no mention of any side effects. However, if you have any concerns or any underlying medical conditions, it is best to speak to your doctor before taking this supplement. If you are allergic to shellfish you should not use this supplement. You can buy this product online from the manufacturer’s website in three different purchasing options. One bottle containing 60 capsules will cost you $29.95. Three bottles will cost a total of $79.95 while six bottles will cost a total of $149.70. The manufacturer offers a satisfaction guarantee that they call a “down to the last tablet” guarantee. This means that they allow you to return the product for a refund if you are not happy, even if you are down to the last tablet. This is a great show of confidence from the manufacturer, however, they have not specified any time frame in which you have to return the product. We found a few user reviews on the manufacturer’s website which were all positive. However, any negative reviews could have been removed. We did not find any user reviews on Amazon. The ingredients in this product plus the money-back guarantee make this seem like a good product to try out. However, it is missing a few key ingredients found in other joint supplements such as L-glutamic acid, MSM, and chondroitin which have all proven benefits for joint health. Supplements including these key ingredients may be more beneficial.